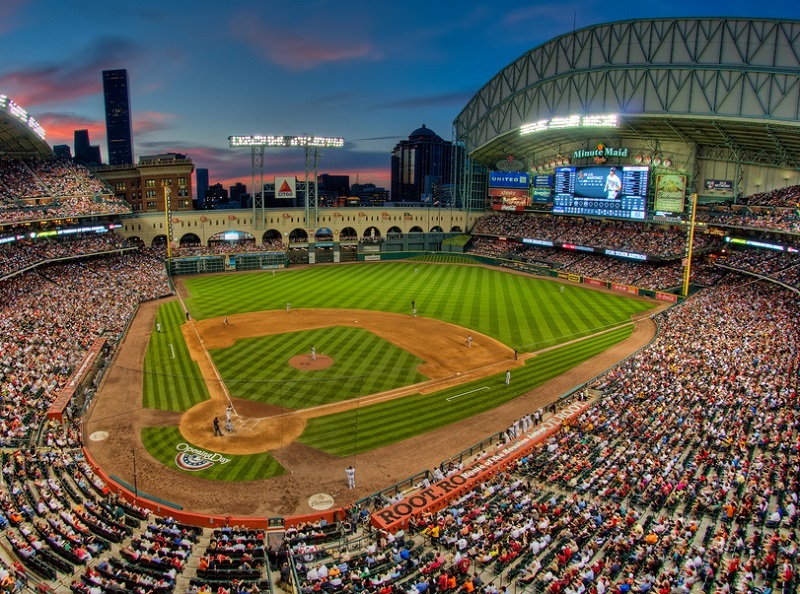 Travel in style to Houston Astros’ home, Minute Maid Park, via C&S Executive Transportation. Hailed as the best professional chauffeur driven transportation services in Houston, C&S Executive Transportation has a complete line of luxury vehicles ready to bring passengers to their desired destinations any time. Select the most appropriate vehicle from our company’s well-maintained fleet, from luxury sedans to executive coaches. Our company can service from a solo passenger to a group of 40. Just book with us and you’ll be able to get to your destination safely and promptly. Inaugurated in 2000, the Minute Maid Park is built on what was the Union Train Station. To pay respect to the once very busy train station, the park used the Union Station as the main entrance, while the train and train tracks can be seen at the left side of the field. Now, this site is flocked by more than 40,000 Houston Astros fans to watch Major League Baseball games. Every time an Astros player hit a homerun, the train at the left field will run along the tracks adding excitement to the spectators. The Major League Baseball season starts every April and ends in October. Each team is expected to play more than 100 games per season. This means that the ballpark is usually reserved 7 out of 12 months for the Houston Astros’ games. Tickets for the games are sold year round. Fans can opt to purchase season tickets, group tickets, or singe tickets. You can check out Minute Maid Park’s official website for the schedule of games this season. The Minute Maid Park is not only exclusive to Houston Astros’ baseball games; even regular folks can host special events in the park. The Union Station Lobby is a huge hall which can be rented as a reception area for special parties such as weddings, debuts, or anniversaries. This large lobby can accommodate at least 400 guests which extra provision for a dance floor or buffet tables. The baseball field itself can also be rented out for special events like teambuilding activities, children’s parties, or even stag parties. There are other spaces within the park that can be used for special events or corporate meetings – the MVP Suites, Champion Pavilion, and even the Union Station Rooftop. Fans can learn more about the Minute Maid Park through a special park tour. This one and half hour guided tour allows the fans to see and to learn more about the history of the Union Station, the park’s Press Box, the Broadcasting Station and the Luxury Suite. The fans are also allowed to be on the field and run around the entire diamond area. The fans are also brought to the Dugout to see the players’ locker rooms and also be able to sit at the Bullpen. Lastly, the fans will be taught how to manually manipulate the giant scoreboard. Tours are done twice a day from Monday to Friday. This special tour brings fans to the Minute Maid Park before the game begins. Fans are allowed to enter the ballpark early to see first-hand the batting practice and warm-up of the team from the Diamond Club seats as well as be able to tour the Astros Suite and the Upper Deck of the park. This tour is offered during game days except for Sunday Night Football. Now, students from all over Texas can see and learn more about the Minute Maid Park. This new program was launched with the aid of the Texas Education System that allows a minimum of 25 students from K to 12 tour the park and have a virtual seminar led by one of the members of the National Baseball Hall of Fame. The Minute Maid Park is not only a venue that hosts baseball games; there are also a lot more to enjoy in this historic place. So whether you are here in Houston to watch a game with friends or family or tour the park, make sure you book your transfers with C&S Executive Transportation. Our company vows to bring you and your loved ones to your destination safe and sound.